SINGAPORE, 13 November 2018 – Ms. Erlinda Uy Koe, a prominent community leader of the Philippines is the winner of the inaugural ASEAN Prize. This was announced at the opening ceremony of the 33rd ASEAN Summit in Singapore today. Singapore’s Prime Minister Lee Hsien Loong and the Secretary-General (SG) of ASEAN Dato Lim Jock Hoi presented the ASEAN Prize at the opening ceremony to Ms. Koe, for her exemplary contributions to supporting inclusivity and forging closer ties in ASEAN. The ASEAN Prize is an initiative of the ASEAN Secretariat. It aims to recognise inspiring achievements and contributions that foster the ASEAN identity, promote the ASEAN spirit, and champion the ASEAN way. In addition to the trophy, the recipient of the ASEAN Prize would also receive a cash prize of US$20,000. The sponsors of the ASEAN Prize 2018 are Temasek Foundation Connects of Singapore, the Ayala Corporation of the Philippines and Yayasan Hasanah of Malaysia. 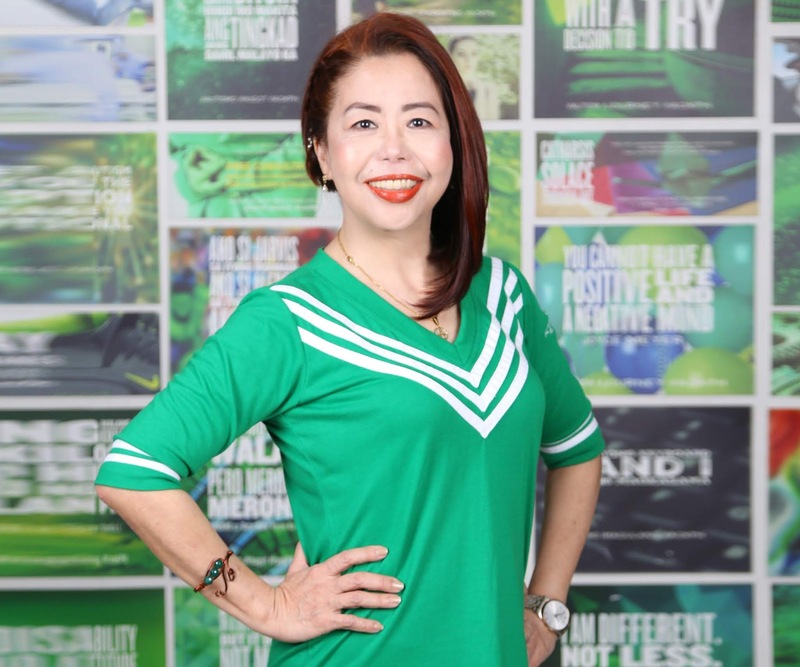 Ms. Koe is the Chair Emeritus of Autism Society Philippines (ASP), in addition to being a full-time corporate executive. Under her leadership, ASP - now with 96 chapters nationwide, has become one of the most vibrant disability organisations in the Philippines. At the regional level, Ms. Koe served as Chair of the ASEAN Autism Network (AAN), comprised of autism family support organisations from all ten ASEAN Member States. AAN is a platform for ASEAN member countries to cooperate and unite in developing non-discriminatory strategies and intervention programmes to support persons living with autism and their families. Over the years, Ms. Koe’s efforts have inspired autism awareness, not just in her native Philippines, but among the ASEAN Member States. Under her stewardship, the ASP spearheaded the Angels Walk for Autism, gathering over 24,000 participants in January 2018, with thousands more converging in simultaneous walks in ten cities. This show of unity and community behind one cause inspired other AAN countries to hold their own Autism Walks. Ms. Koe is a respected public speaker and has also taken her advocacy to international arena. Her engagements have sparked discussions on project collaborations with Korea, Japan and China. She has also served the United Nations Economic and Social Commission for Asia and the Pacific’s Working Group of the Asia Pacific Decade for Persons with Disabilities for 2018-2022. “I am thankful for the momentum this recognition will bring in taking our advocacy to the regional stage. Persons with autism need acceptance, accommodation and appreciation -- and we hope to find more receptive minds and hearts among our policymakers to build a genuinely autism-friendly global society,” Ms. Koe added. Ms. Koe is selected as the ASEAN Prize winner by a judging committee that was made up of the incumbent SG of ASEAN Dato Lim Jock Hoi, and former SGs Tan Sri Ajit Singh (Malaysia), Amb. Ong Keng Yong (Singapore) and Amb. Le Luong Minh (Viet Nam). Close to 50 nominations for the ASEAN Prize were received from all ten ASEAN Member States. The Association of Southeast Asian Nations (ASEAN) was established on 8 August 1967. The Member States of the Association are Brunei Darussalam, Cambodia, Indonesia, Lao PDR, Malaysia, Myanmar, Philippines, Singapore, Thailand and Viet Nam. On 31 December 2015, the ASEAN Community was formally established. The ASEAN Secretariat is based in Jakarta. Temasek Foundation Connects is a Singapore-based non-profit philanthropic organization that funds and supports programs, which seek to build bridges and partnerships, and promote dialogue and mutual understanding across our diverse communities and markets in the region and beyond. Established in 2016, it aims to foster cooperation and growth in a globalised and interconnected world of opportunities. Ayala Corporation is one of the largest and most diversified business groups in the Philippines, with business interests in real estate, banking, telecommunications, water, power, industrial technologies, infrastructure, healthcare, and education. Its social commitment arm, Ayala Foundation, has programs that focus on education, youth leadership, sustainable livelihood, and the promotion of arts and culture. With headquarters in Makati City and operations mainly in the Philippines, it continues to grow its regional and global footprint, serving millions of customers across all market segments. Yayasan Hasanah is an impact-driven organization that envisions a globally sustainable Malaysia with empowered communities, an inclusive society, and a well-managed environment. It strives to create real and lasting positive social and environmental changes for Malaysia through work in education; community development; environment; arts, heritage & culture; knowledge; and public spaces. Within these focus areas, it partners with civil society, communities, corporates, and government agencies to design and implement initiatives that will deliver the greatest impact in realizing its vision.